MONDAY, Jan. 8, 2018 (HealthDay News) — Does a youth misspent lounging and lazing condemn middle-aged folks to a future of bad heart health? After a while, all in the aerobics group transitioned to what Levine calls their weekly “maintenance dose” — one high-intensity interval session, one long session, a couple of regular base-training sessions and a recovery day, along with some strength training. This program is specifically designed to be agreeable for middle-aged people who don’t have the time or inclination to adhere to the same sort of workout program as elite athletes, Levine said. “They can’t think they’re going to achieve this right out of the chair, but it is definitely doable,” said Goldberg, medical director of the Women’s Heart Program at NYU Langone Medical Center in New York City. 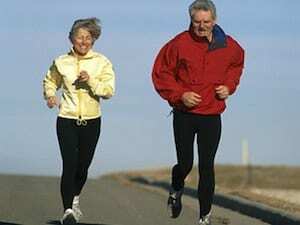 For more on exercise and heart health, visit the American Heart Association.